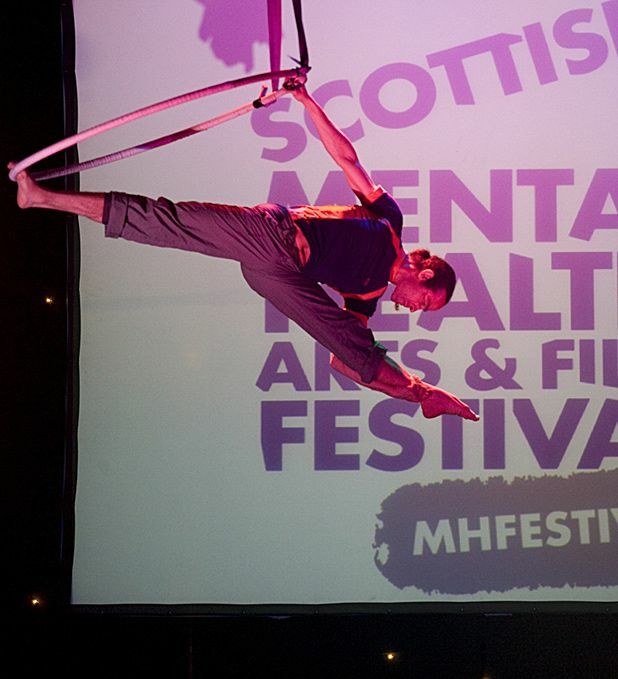 ‘Walk in my shoes’ is the theme of the sixth edition of the Scottish Mental Health Arts and Film Festival (SMHAFF). This year we’re presenting nearly 300 arts events across Scotland. As before, it encompasses theatre, comedy, film, dance, literature, music and the visual arts. This year we’ve added opera, circus, and gaming. We’ve pulled together some rare -- and some unreleased -- films and threaded throughout the festival are films curated by musicians including Malcolm Middleton (ex Arab Strap) and Duglas T Stewart of the BMX Bandits. Jack Bond, maverick director of the rarely-seen Anti-Clock and Dali in New York will be appearing at a screening and Q&A (GFT, Glasgow, 8 Oct), and we’ve got a real coup in the Scottish premiere of I, Anna starring Charlotte Rampling and directed by her son (Filmhouse, Edinburgh, 22 Oct; GFT, Glasgow, 23 Oct). Scottish Opera and Shelter present a unique, one off performance of a community opera, The Magic Boot, at the wonderfully restored Maryhill Burgh Halls (Glasgow, 17 Oct), while The Arches hosts a pioneering therapeutic stage performance by Solar Bear and Project Ability, Inside, Outside, In Our Stride (Glasgow, 25 & 26 Oct). The documentary dance theatre work Piece of Mind at the CCA (Glasgow, 9 & 11 Oct) aims to transform your perceptions of bipolar, as might Box of Frogs (Eastwood Park Theatre, Giffnock, 11 Oct), a circus-inspired theatre piece which explores similar themes using acrobatics, aerial rope skills and stunning live music. We’ll be welcoming poem practitioner John Hegley to Edinburgh (St Columba’s-by-the-castle, 6 Oct) and Music Like A Vitamin are back with us, curated by Rod Jones of Idlewild and featuring The Birthday Suit, Withered Hand and Sparrow and The Workshop (HMV Picturehouse, Edinburgh, 25 Oct). And as a boost to your own mental wellbeing, we’ve made sure most events are free, or at least under a fiver. Various venues, nationwide, 1--24 Oct.